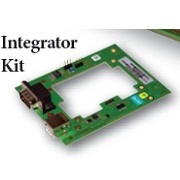 Septentrio's AsteRx-m Integrator Kit contains an OEM board, input/output development board, 1 USB cable, 2 antenna cables, 1 null modem cable, 2 interface headers (with 30 pins) for PCB installation, RxControl GUI and all relevant manuals. 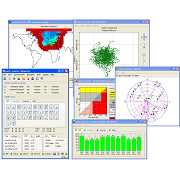 Septentrio Satellite Navigations AsteRx-m Integrator Kit contains an OEM board, input/output development board, 1 USB cable, 2 antenna cables, 1 null modem cable, 2 interface headers (with 30 pins) for PCB installation, RxControl GUI and all relevant manuals. The board is designed to be compact and has low power consumption. It is used to track L1/L2 GPS/GLONASS signals. Equipped with 132 channels, it can track all available GPS/GLONASS satellite constellations at one time. It also allows 3 SBAS channels to be configured to track SBAS signals. 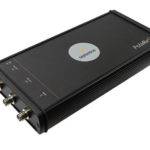 A GNSS+ extension pack provides such features as AIM+, APME+, ATrack+, Lock+ and RTK+, which enhance the precision and reliability of results. Both models can be ordered through Blue Planet Geomatics Geomatics. If you would like more information about the kit, please use the Request Pricing form to contact us.